Polyacrylate Rubber | Korlead Ind.Co.Ltd. Mineral oil resistance, heat resistance and weather resistance are superior to nitrile rubber, temperature range -20 ℃ ~ 170 ℃. 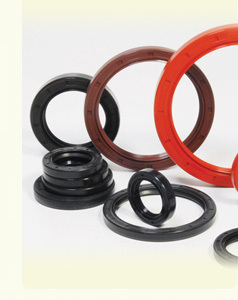 Applicable to the production: O-rings, gaskets, various types of oil seal. Automotive Transmission seals, all kinds of oil seals, O-ring.